As a referral from another DJ company, this bride booked her 2014 Summer Solstice wedding day with ONDAGO DJ Entertainment in 2013. June 21st, 2014 had arrived and brought us to Girdwood, Alaska, to unite Tiffany & Sebastien at the Alyeska Resort. We had a beautiful outdoor ceremony at the pond on the South side of the hotel. With our attendance at the ceremony rehearsal the day prior, this ceremony started on time and it was smooth sailing from here. We provided ceremony music, wireless lapel microphones for the officiant and groom, and a microphone on a stand for the vocalist and readers during the ceremony. The reception was held inside the hotel at the Kahiltna Court Ballroom. The majestic room was decorated in lavender by LaBoum Events. We added our touch to the space with wireless uplighting fixtures accenting the high ceiling around the room in lavender purple. Colors changed throughout the evening during open dance. The photo booth, hosted by Special Events, was a hit! The reception was filled with great food, a stunning cake, but most importantly, a great group of people! 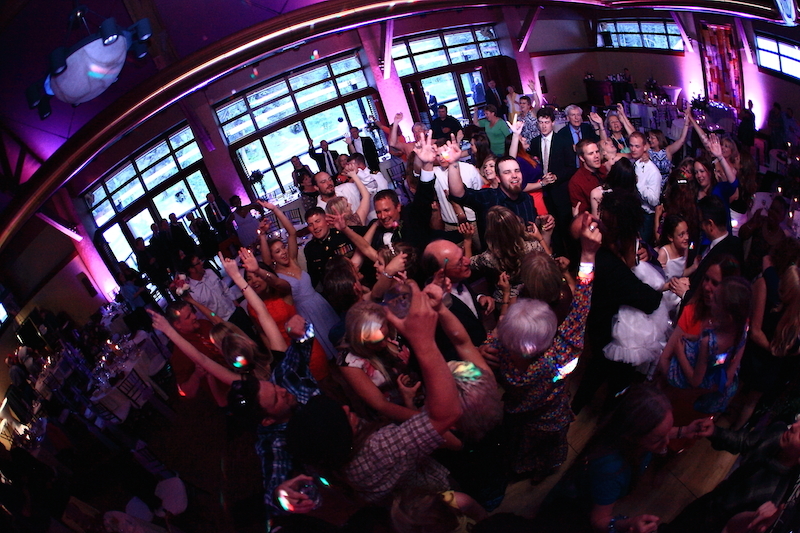 The bridal party performed a surprise dance off with a mix created by ONDAGO DJ Entertainment. The dance floor was non-stop and busy throughout the evening. The bride’s brother, Evan, led everyone in a group sing to a Tom Jones classic. Even the bride, Tiffany, took over the DJ’s microphone and announced that it was also the DJ’s birthday, surprising him by leading everyone in singing “Happy Birthday.” What better way to celebrate a beautiful wedding and a birthday than with some yummy cake! Thank you to Sweet Action Photography and Tiffany for use of the photos above.